Busy getting ready to deliver to the show on Sunday, and kind of forgot to post in my blog!?!? 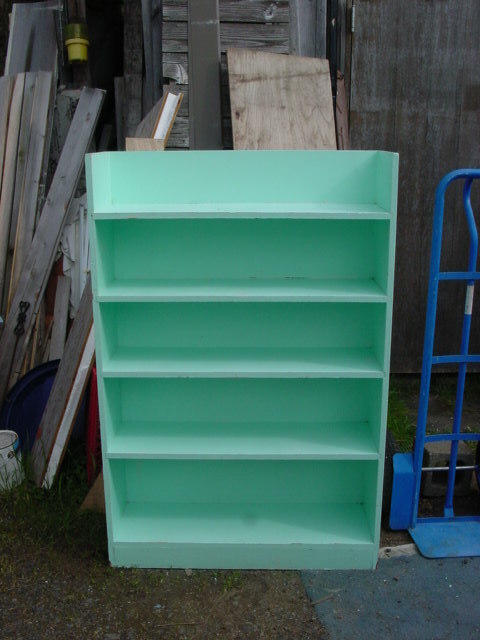 This is the BIG shelf I got at the estate sale earlier this month, and hadn’t yet taken a picture of because it was still in the back of my car, waiting for Michael to help me remove it. Is that the PERFECT ‘Sophie color’ or what?!?! How’s that for serendipity? 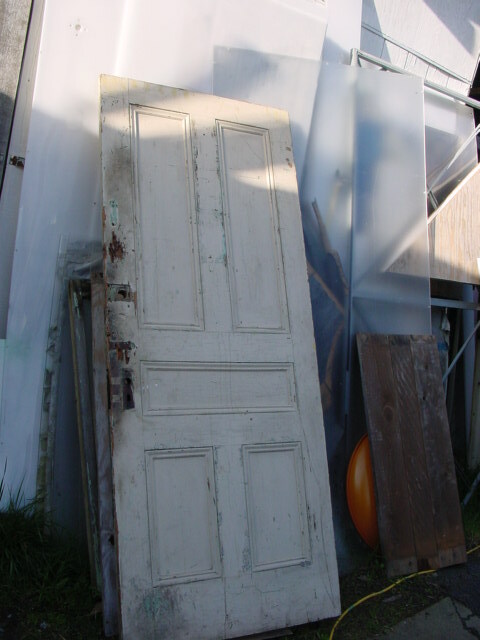 Michael got this awesome old door. It’s pretty grubby, dark wood color on the other side and still has house numbers on the back too. (It’s too heavy for me to even turn around to take a pic of the back!) 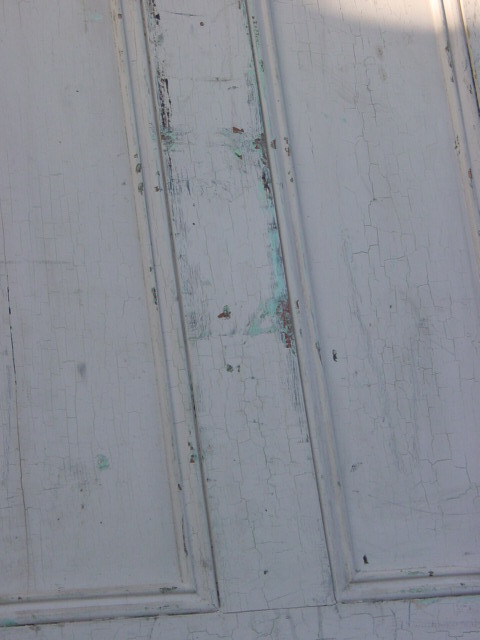 The white paint on this side is very cracked, and worn away in some spots. 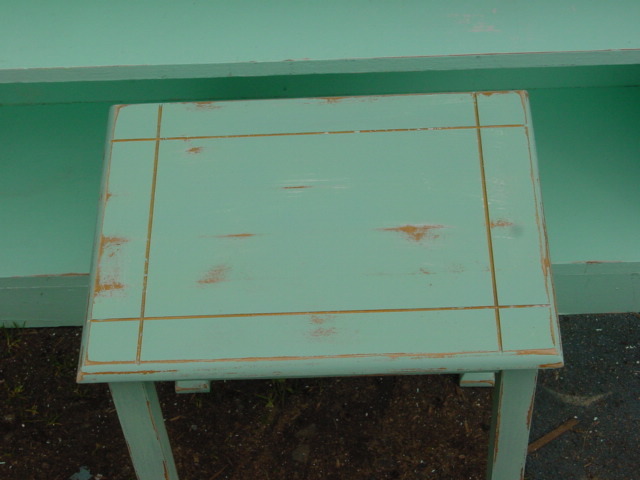 After I cleaned it up a little and did a little power sanding; can you see what color is peeking out from underneath? Serendipity, indeed. Not quite sure how we are going to use this door. will have to get to it after the show. 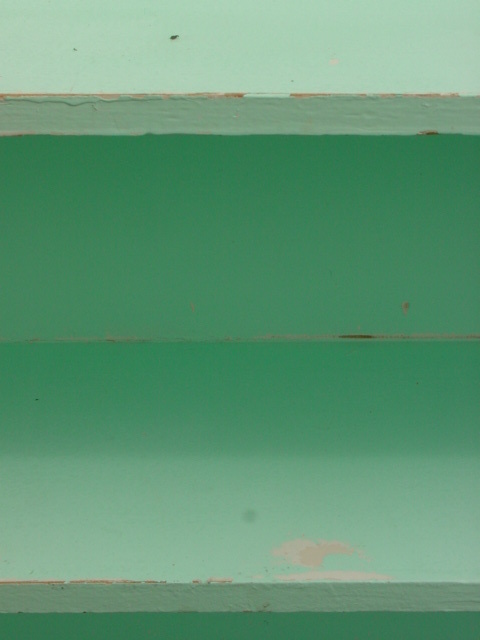 The shelf ‘seemed to be’ in pretty bad shape at first glance. Very grimey and dirty; but most of it came off with soap and water, and the rest with a bit of sanding. 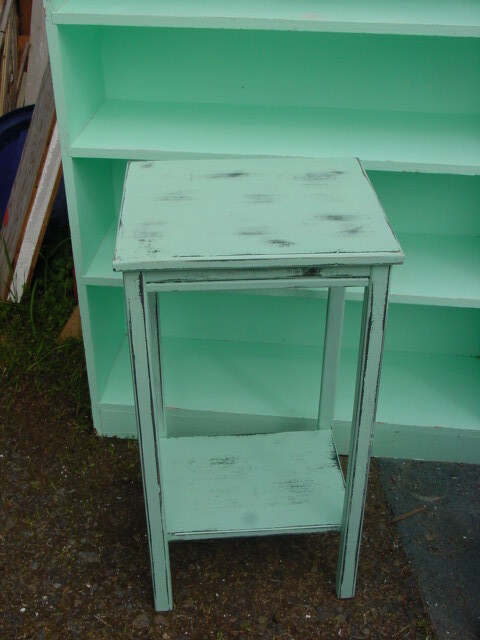 Sturdy little 2 tier table or plant stand; before distressing. 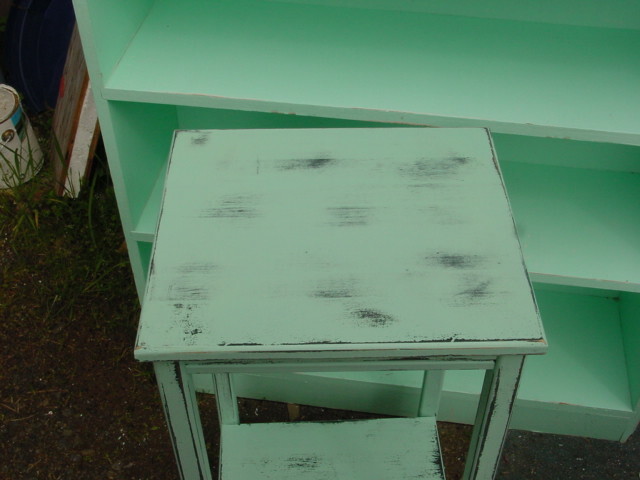 And after distressing. 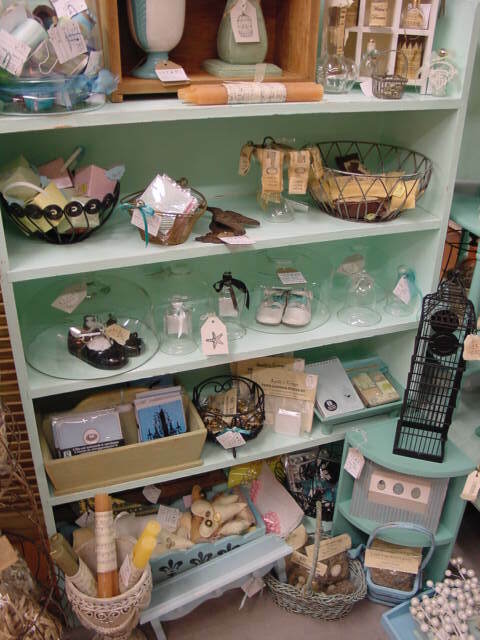 I was amazed at how closely my paint color matched the vintage shelf! 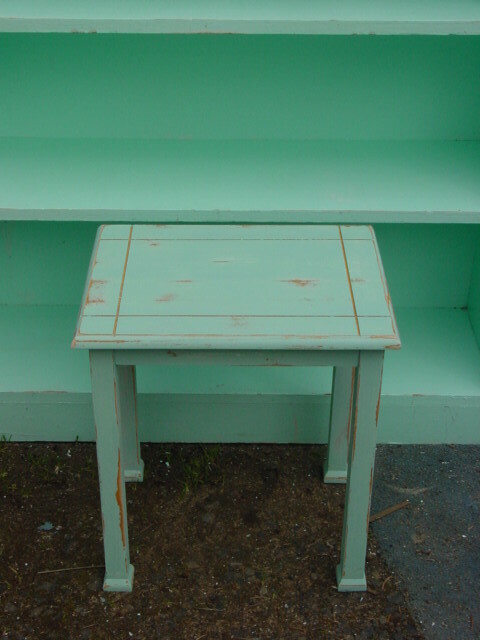 This table was originally black, hence the dark distressing. 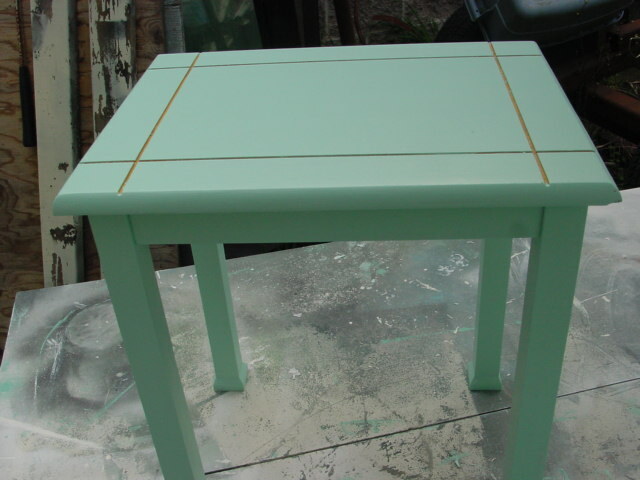 This little table had a lighter, ‘blonde’ finish and a routed design on the top. Both of these will be going to the show. 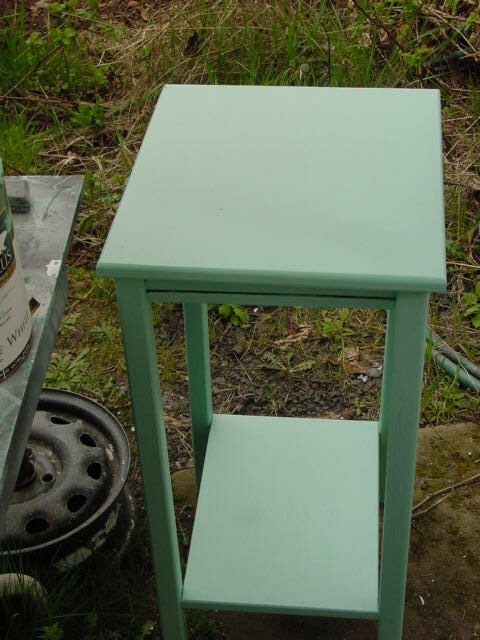 The turquoise stuff has been selling SO well at Stars that I don’t have a whole lot of it left for the show; but I HAD to hold back a few pieces of our ‘signature color’. 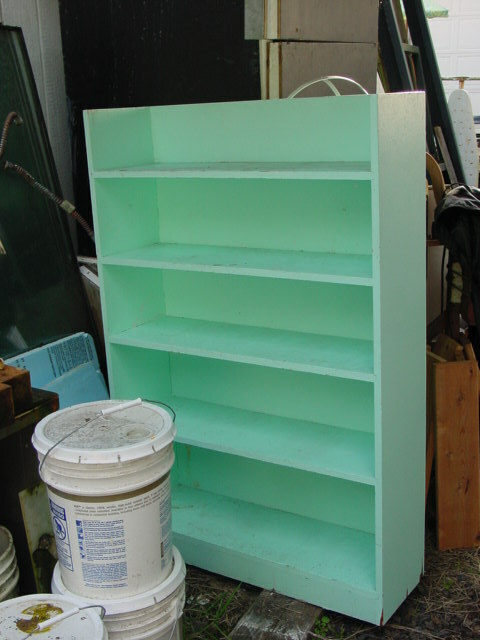 In fact, I was just at Stars re-stocking today and by the time I got home they had called to tell me that three more pieces of the turquoise furniture had just sold!